Breakfast is so easy in my house. Once I master a recipe John and I both love, we’ll have it for weeks on end (eg. double chocolate zucchini muffins, summer peach granola, blueberry super smoothies, etc). 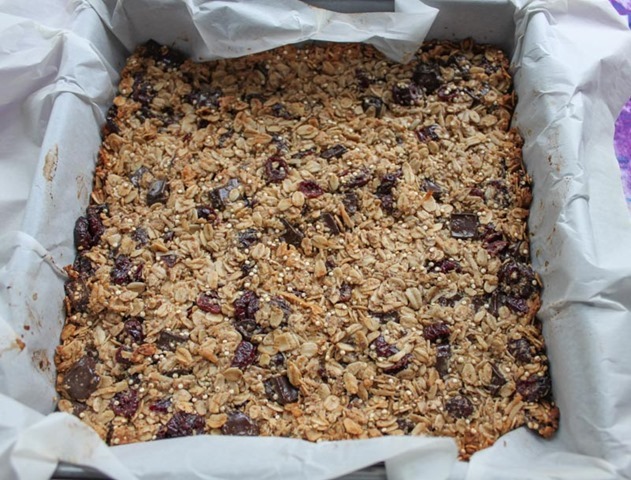 So naturally when I saw Smitten Kitchen’s latest granola bar recipe I gave it a whirl and it became an instant favorite! 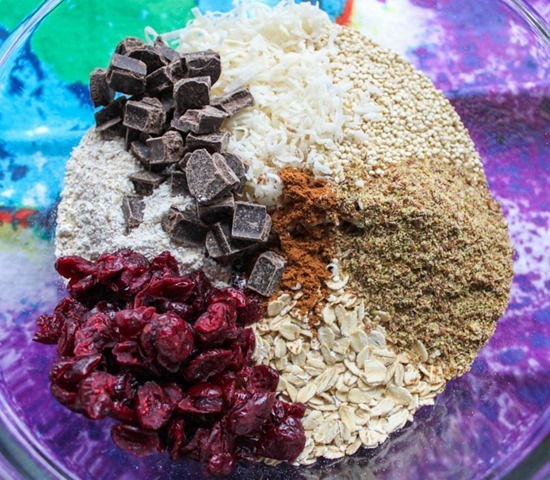 Begin by combining all of the dry ingredients in a big bowl. 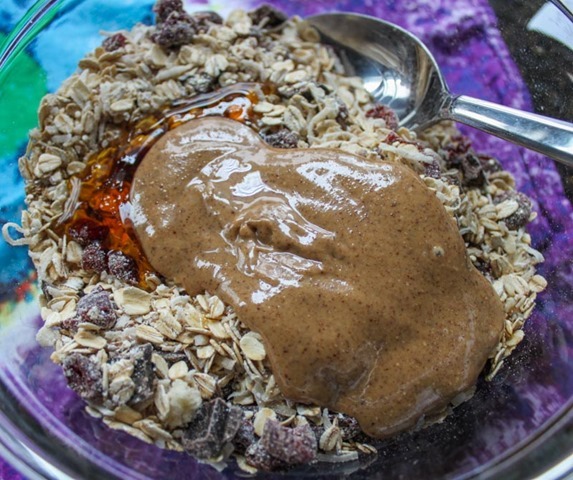 Pour the almond butter, oil, and golden syrup over the top and stir thoroughly to combine. Be sure when stirring that all of the dry ingredients are picked up from the bottom of the bowl and that each piece is coated. 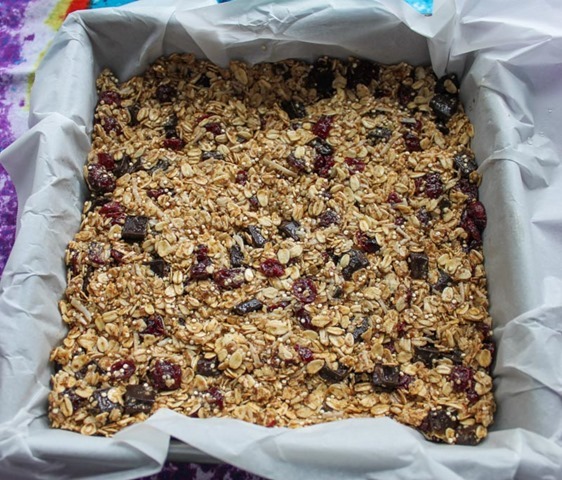 Line a square baking pan with parchment paper and spoon the mixture in. 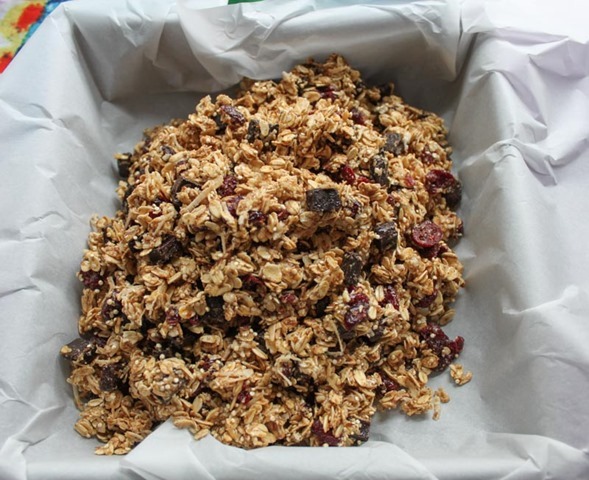 Press the granola mixture evenly into the pan. I like to wet my hands with cool water and press manually in small sections. This ensures total evenness, uniformity, and tightness, you really want the mixture to be pressed down firmly into the pan. Bake on 350 degrees for 25 minutes or until the top and corners are golden brown. Cool completely before cutting into bars. 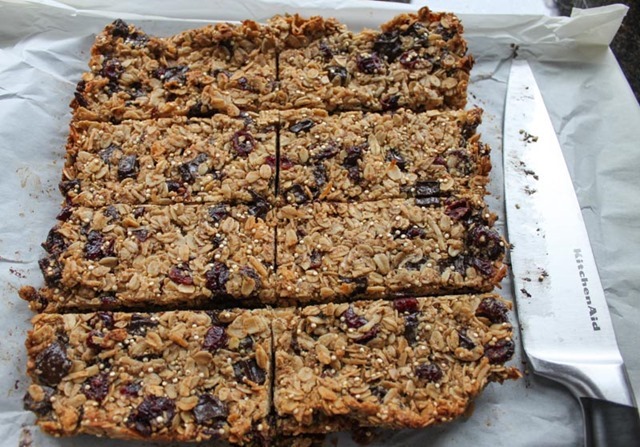 Don’t skip this step or the granola bars will fall apart on you. Mine took about 2.5 hours to fully cool on the counter (you could always throw them in the fridge to cool too). 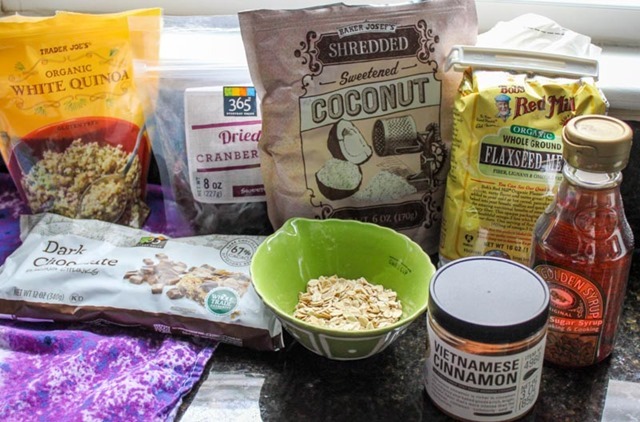 Eat right away, wrap up individually, or store the whole batch in a tupperware. 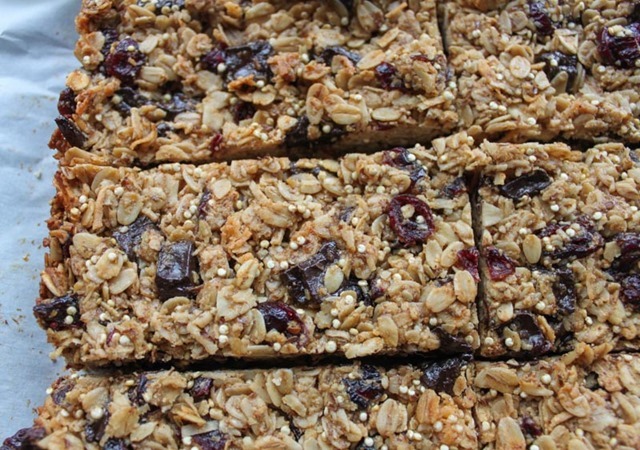 These granola bars will keep in the fridge for a week. 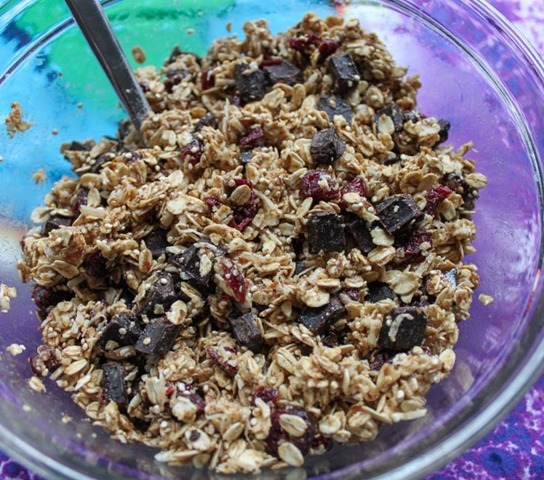 The perfect make ahead work week breakfast!